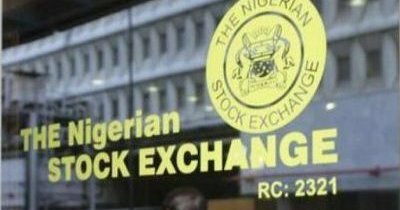 The system and politically induced selloffs continued on the Nigerian Stock Exchange Thursday as the benchmark All Share index closed lower to consolidate the seventh straight session of down market. The situation seems to have provided opportunities for penny stocks to rally and dominate the top gainers’ table in recent times. The prolonged downturn has made trading and investing uninteresting as many players sit on the fence to watch and read the market situation so as to know when it will likely turnaround in the short-term, if the government and its economic managers take steps to ameliorate the whole system that brought about this prevailing situation. Meanwhile, the NSE All-Share index opened the day on a downside in the morning which was sustained in the mid-morning to afternoon to breakdown the 32,000 level to test another support level at 31,938.59 basis points support level. This was the session’s intraday lows from its highs of 32,321.64bps before closing the day lower at 32,023.23bps on a low traded volume. Notwithstanding, the prevailing market situation many companies’ fundamentals remain intact and attractive, but identifying when to buy is however what matters now which technical analysis will do for you. The market is preparing to produce another set of billionaires in 2019 and beyond, that is why you should go for Investdata Consulting’s July 28, 2018 Stock Trading Workshop HOME STUDY PACK. These are audio-visual materials you can play to view the live class on your phone and laptop to help you know when to jump into the market and specific stocks, or stay out. For your Study Pack, call or send YES to the phone numbers below. Thursday’s market technicals were negative with high sell sentiment on relatively low traded volume and negative market breadth as revealed by Investdata’s Daily Sentiment Report, showing a ‘sell’ position of 78% and ‘buy’ volume at 22%. Volume index was 0.77 of the day’s total transactions. Momentum behind the day’s market performance was weakened further, as shown in the money flow index at 18.93bps, down sharply from previous day’s 32.31bps, indicating that funds are seriously exiting the market to worsen the liquidity crisis already affecting market fundamentals. The composite NSE Index on Thursday shed 270.56bps, closing at 32,022.23bps, after opening at 32,292.17bps, representing a 0.84% decline, just as market capitalisation shed another N98.78bn to close at N11.69tr from N11.79tr, representing 0.84% value loss. Thursday’s downturn resulted from losses suffered by medium and high cap stocks like: Nestle, Nigerian Breweries, Conoil, CCNN, Lafarge Africa, Zenith Bank, Access Bank, Forte Oil and FBNH, among others. The decline further impacted negatively on the NSE’s Year-to-Date return, now at 16.41%, while market capitalization for same period has lost N1.91tr, or 14.18% from the year’s opening value. The sectors maintained bearish posture as all indices closed red, just as market breadth was negative with decliners outnumbering advancers in the ratio of 26:9, continuing the seven sessions of bear transition. Market activities in volume and value terms were down 29.71% and 46.46% respectively, after 173.55m shares worth N3.71bn were traded, compared to previous day’s 246.91m units valued at N6.93bn, largely driven by financial services stocks. 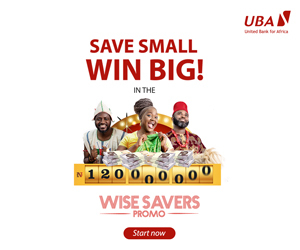 Skye Bank and Unity Bank were the best performing stocks, topping the advancers’ table after chalking 9.8% and 9.0% respectively to close at N0.67 and N0.85 each respectively, purely on their low-price sentiment. On the flip side, Lafarge Africa and Conoil were the worst performing, shedding 10% and 9.9% of their opening value respectively to close at N20.70and N21.90 on market trend. We expect the market to continue in this direction on Friday, being the week’s last trading session, until policy statement is made with new economic strategies to stimulate an economy that is on a slowdown, rather than just looking at the rising oil price at the international markets to expand the nation’s debt profile. The ongoing volatility is likely to persist as bargain hunters take advantage of the low-price regime, in the midst of continued selloffs and political risk, especially as shadow elections by political parties kick off any moment from now. We also expect the National Bureau of Statistics (NBS) to publish the inflation data for August on Friday.